About 100 young soccer fans got a high-five from one of their heroes this morning. Former Brazilian professional soccer player Juliano Belletti stopped by Evergreen Sportsplex near Leesburg to talk about his career and snap photos with some of his littlest fans. Just 100 kids got the chance to attend the meet-and-greet. The available spots were filled in 90 minutes, and organizers said there were close to 900 players who would have loved to attend. 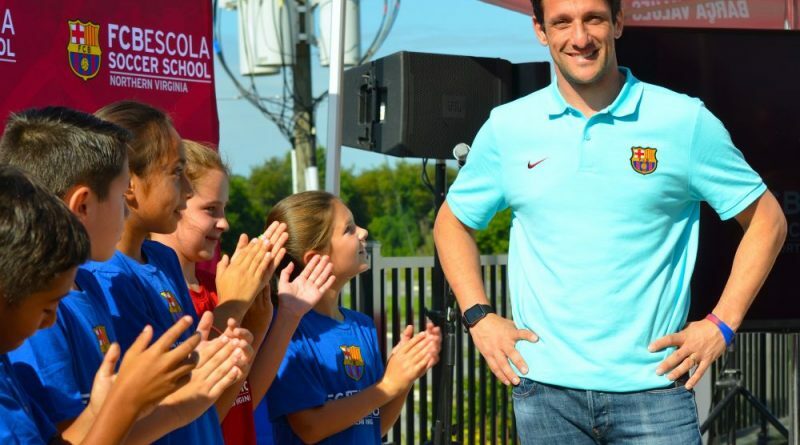 Belletti told them, as a kid, he would have never imagined all that his love of soccer would lead to. Since he was 6 years old, all he wanted to do was play soccer. “I want to tell you, nothing is impossible,” he said. Belletti’s visit coincides with this afternoon’s friendly match between Manchester United and FC Barcelona at FedEx Field. Belletti played for FC Barcelona from 2004 to 2007 and became an international soccer star after scoring the winning goal in the 2006 UEFA Champions League Final. It was the only goal Belletti scored with Barcelona, but it secured Barça the Champions League crown. 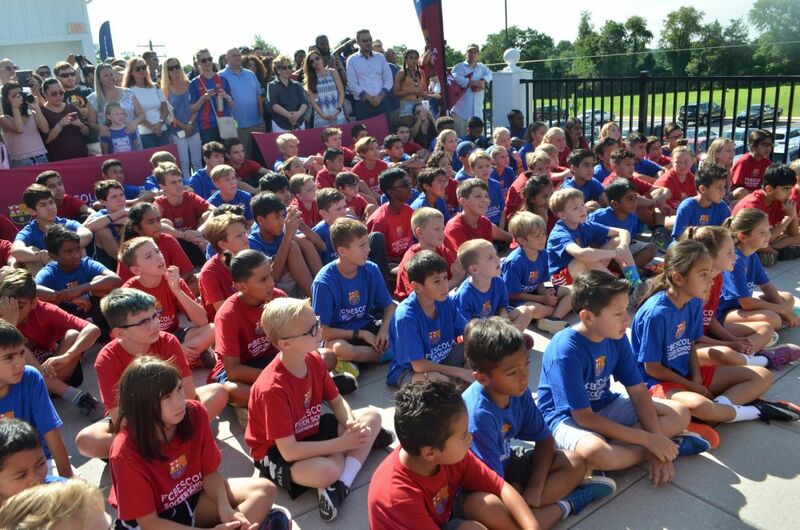 Evergreen Sportsplex is home to the FCBEscola Northern Virginia. Earlier this year, FC Barcelona—one of the most iconic soccer brands in the world—partnered with Sporting Global to launch the soccer school, now in its first season.